This new double album presents a selection of previously unpublished works for piano, including: sonatas, short compositions, inventions, variations on a theme, nocturnes. Many of the piano parts are played by the composer himself, who is an award-winning pianist and a professor of piano and composition. This selection of works includes, in addition to works under the general titles that require no comment (short compositions, inventions, variations), works demanding an explanation under the common title of "sonatas". This term has been chosen by association with a long series of works by the same name, from different masters. Sonata does not designate a form, but a project. However, this term has been used to designate the sequence of parts played on an instrument (Sonata opposed to Cantata) and then the parts finding their unity in the tone rather than in the order. Haydn and Mozart were the first to conceive important works in several parts, which differed from a simple sequence by their general unity of address, non-interchangeable place of each element and its obvious perceived necessity. It is in this type of project, specifically musical, that were conceived and created these pieces. The variety of rhythms and the beauty of melodies will amaze the listener and will contribute to the learning of expressive playing of young pianists. In addition to the melodic and harmonic richness of these songs, one can notice the presence of some rhythms that are uncommon in the traditional folklore: measures of 5 or 7 times; so-called "Bulgarian" rhythms ; mixtures of major and minor modes, and the opening theme of Beethoven's pastoral Symphony in a song of workers of lower Auvergne. 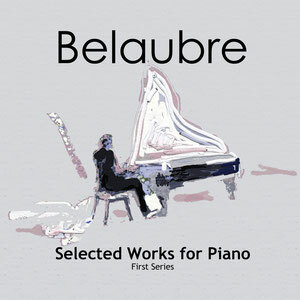 These variations were originally written by Louis-Noel Belaubre, composer, professor of piano and former director of two conservatories, as educational and practice material for his pupils. Level easy to medium. Download the full version in the store via the link below absolutely FREE (for a limited time only). 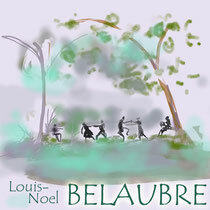 L-N Belaubre's music on Soundcloud.